Having gotten off the ‘slower than expected’ bus at a ‘further away than expected’ bus stop, I had come to the soul sapping realisation that our final destination was at the end of a distance that I had somewhat underestimated on the ‘not quite to scale’ iPhone Maps App. Still, with a tiring & pregnant wife to keep motivated, and the prospect of sampling some local gin to keep my spirits high, I proclaim that our end point is ‘just around the next corner’ and suggest we persevere. Upon exiting the hippy-haven, and after a seemingly never ending jaunt down a long, grey main road, we arrive outside a large warehouse unit and my phone insists that I have ‘reached my destination’. But with no entrance in sight, I cringe at the idea of admitting a dreadful error of judgement & map reading to my ever patient counterpart (who is by now cutting a more and more frustrated figure at an alarming rate). I calmly reach for my phone and explain that I will simply call our host and confirm our arrival – only hoping that my growing uncertainty had not affected my above the water swan-like facade. ‘Hey Sune, it’s Matt! We’re outside the distillery. But we don’t know how to get in?!’. ‘I hear that doors have become popular in today’s culture’ came the sarcastic reply, followed by a hearty laugh. At that moment, an industrial metal side door swung open, followed by the appearance of our intrepid hero & host, Sune Risum-Urth. We’re greeted warmly, and with a firm handshake. And as we’re ushered inside, I make one last failed attempt at disguising my embarrassment over the door incident. We make our way to the bar area and exchange pleasantries, whilst Sune, the head of R&D, Event Management, Production Development and all-round nice guy, sets up the indie-rock musical backing track to our Copenhagen Distillery experience. Working alongside Master Distiller Henrick Brinks & Lead Distiller Lasse Öznek, Risum-Urth is about to pour us a large sample of juniper goodness, served in true Danish style. As we embark on the grand tour of the distillery, I’m in awe of the sheer expanse of the building; the place is huge! Interesting experimental side projects seem to pop-up from nowhere, with a variety of colourful bottles & potions drawing your interest. The walls and racking are adorned with beautiful oak barrels, gently ageing their varied precious cargo. And whilst large sections of the space currently remain unfilled, Sune enthusiastically tells of the plans in-store for the next 6 months, which will see a 1000 litre still constructed at the heart of the unit, with a separated and purpose built visitors area planned to cater for the ever-growing popularity of ‘distillery tourism’, echoing the sentiments of the US Craft Beer Tap Rooms with street food vendor & live music opportunities. As I’m escorted along the production line of various metal drums, each one playing a vital role in distilling individual botanicals ahead of being combined to stunning effect, I am invited to experience the variety scents & sensations that each treasure chest of riches contains. I sometimes think that it’s only by being in and amongst the inner workings of a distillery that you can truly appreciate the craft and artistic flare that goes in to making that little bottle of clear spirit that hits the shelf. As we continue the booze fuelled tour, I’m told of the distilleries wider portfolio, which features Nordic staples of Snaps and Aquavit, as well as the teams firm grasp on the whiskey market – going some way to explaining the number of barrels on display, that serve a much greater purpose than simply looking cool! In his element behind the bar, having previously worked as Assistant Manager at Copenhagen’s ‘RUBY’, listed as one of the top cocktail bars in the world, Sune goes about his business in presenting me with a line-up of the most ‘unusual suspects’! And though he promises to break me in gently, the Cheshire Cat grin plastered across my face does little to disguise the childlike excitement that I’d intended to display as a cool aloofness. First up is the flagship ‘Dry Gin’. And what a place to start! We’re immediately in to one of Copenhagen Distilleries key points of difference. You see, playing on their Nordic heritage, the Dry Gin is a 100% honey based spirit, that uses a 2 year old honey mead wine as its base. The mead is brought in and double distilled; firstly on a pot still. The team then add THE ONLY botanical you’ll find in this gin, juniper, to rest for a week, before distilling again. The scent that emanates from the glass is a hefty whack of boozy currents and raisins, similar to the smell of a well matured fruit cake or Christmas Pudding. Despite the inclusion of a singular botanical, there’s a complexity to the gin, with a citrus bite of lemon & oranges to the vapours and a well rounded, inviting sweetness from the honey mead. It feels rich & luxurious, with an almost visible haze coming from the glass. On the nose, it is unlike a gin. It has a sherry or spiced rum like quality to it, that’s suggestive of a sweet warmth, with muscles to boot! There are big flavour profiles at play here, and whilst the juniper is obvious, it plays more of a supporting role to the woody & oaky notes that give a nod to the honey mead and associated barrel ageing process. I could almost find myself reaching for a warm brandy butter garnish! there’s a zing to the gin, with liquorice like notes that coat the tongue. Whilst the alcohol level feels quite strong, it doesn’t present itself in an unpleasant way. Those boozy currents play off against juniper pine flavours, giving the whole thing an almost festive feel! It’s almost like an accidental ‘Christmas Gin’, but without the gimmicks. The sweetness from the honey mead isn’t overwhelming in the slightest and it helps to tie everything together, providing a very different flavour profile and finish. For me, this is somewhere inbetween a London Dry gin & a barrel aged gin in its character – it’s a happy medium, having not gone as far as having that aggressive whiskey character. The nose & pallet play off each other to enhance the experience; boozy currents & honey on the nose, with a spicer, earthy citrus on the tongue. When it comes to serving, this is NOT a tonic gin. I repeat, this is not a tonic gin! When sampled with a light tonic, it becomes too sweet, not allowing you to pick out any of the complexity of that delicious flavour profile! This NEEDS a ginger beer, matched at a 2:1 ratio. The spice of the ginger plays on those earthy tones and complements the heat of the gin. It also helps to stand up to the sweetness of that honey, pulling those oaky mead flavours forwards. A gorgeous winter warmer! For those wanting a twist on a classic, this is also a gin that would work fantastically well in a dry Martini. My summary? It makes you feel better as a human for having drank it. Superb. It’s a strong start, and a tough act to follow, but not to be outdone I’m presented with the Dry Gin’s citrus sibling; Orange Gin. Infusing Seville Oranges, cardamom, spicy longpepper, sweet prunes and juniper for a week, before distilling in a London Dry style, the Orange Gin continues to demonstrate simplicity at its beautiful and genius best. The aroma & taste blow me away – I find myself asking Sune to repeat the botanical list and distilling process. So strong is the sweet orange flavour, I’m determined to get him to admit to this being a flavoured gin, with additions made to the gin prior to bottling. But its to no avail. What they have achieved with this gin is nothing short of a triumph, and more than deserving of its Gold Award from the 2017 Spirit Masters Awards. Rolling my sleeves up, we meander in to glass number three, another ISC Master Award winner no less! Taking a mix of the Orange & Dry Gin, and resting in barrels for 4 months, the team have created a product that defies my normal stance on Barrel Aged Gin’s. Where my pallet usually takes offence to the whiskey-esq profile, here I find myself drawn in by the smooth sweetness, with citrus and juniper still evident on the pallet. A combination of two incredible gins, delivered to stunning effect. Now here’s where things begin to get a little more…’experimental’ shall we say! Within the confines of the distillery, Sune is able to provide samples of his booze laden creations that aren’t allowed to go out the door! And he has an example that he says will ‘blow my socks off!’. Case and point? The unnamed, 75%, gin that I find flexing its metaphorical muscles in front of me! At its most basic level, this is the Dry Gin presented in all its glory, with no watering down to the standard bottling strength. Due to its ABV, it can’t be sold by retailers, as you’d have to be approved as a holder of chemical goods! Reassuring, I thought, as I lifted the glass to my lips! POW! There are BIIIIIG mead and brandy flavours here, hitting the back of the throat, with a perhaps ‘not so surprising’ long lasting finish. Yes it’s far too strong to be an enjoyable long drink that you’d want to reach for as part of your standard G&T. But that’s not the point! This is big. This is clever. And more to the point, it’s fun! With my socks well and truly removed, I catch a glint in Sune’s eye as he pours the next sample. I find myself intrigued by the question ‘are you a vegetarian?’, prior to the glass being pushed forwards. Not your standard bar chat, I thought. Though it is asked for good reason! This is a drink made in extremely limited quantities, which taps in to Copenhagen Distilleries Scandinavian, Nordic heritage. Within your glass you’ll find; the blood of a deer, boars head distillate, worm wood, fennel, hops, cranberries, walnuts, white pepper & sea water. The result? Surprisingly enjoyable! There is an almost ‘Black Pudding’, savoury aroma and taste to the spirit. And when you can present something like this, making the ‘Smoked Bacon Gin’ seem ‘normal’ you know you’ve got a party piece worth shouting about! As my time at Copenhagen Distillery began to come to a close, Sune insisted that we end on something traditional, and with Aquavit (which has been produced in Scandinavia since the 15th century), you’re not going to get much more traditional! Yet in true Sune style, the traditional is matched with the experimental, as he casually reaches for a centrifuge to knock me up an Aquavit Martini. As you do! And so as ice cubes whizz around a glass, with delicate liquid additions made from time to time, Sune explains the history of Aquavit to me. Made in a similar way to gin, and traditionally flavoured with either dill or caraway (Copenhagen Distillery produce both), Aquavit is designed to be a sipping spirit, that’s served with food; dill to complement fish dishes and caraway to support meatier menus. And it’s here that our already enthusiastic hosts passion steps up a gear. He explains how Aquavit has developed a reputation in Denmark for being a ‘cheap shotting drink’; the sort of thing you’d neck at a house party, and regret in the morning. It’s seen as being at the lower end of the market and not one to be celebrated. Sune is on a mission to change all of that! And on sampling, I can absolutely understand why! The finished Martini is clean, crisp and delicate. It’s silky smooth, with a cooling quality on the pallet, and a delightful freshness. Match that with the spirits history and heritage, and it’s no wonder that Copenhagen Distillery are pushing for its revival & a complete overhaul of Scandinavian attitudes towards the drink. So passionate is Sune that he’s even co-authored a book on the subject with fellow enthusiast Rasmus Poulsgaard (‘Akvavit; Rediscovering a Nordic Spirit’), with a whole back catalogue of cocktail recipes & serving suggestions for those willing to be converted. I was absolutely honoured to be presented with a copy. Being new to Aquavit, its an experience and flavour that has stuck with me. It’s a category that I feel demands further investigation and could easily generate a big UK following if the interest in gin is anything to go by. Eye opening and delicious in equal measure! And with that, our tasting session is complete. Copenhagen Distillery is far more than ‘just a distillery’. It’s an experience. Here you’ll find a lot more than botanicals going in to their spirits; the stills are filled with a heartening mix of attitude, passion and experimentation. To Sune and the team, drinks making is an art form, and a craft that demands attention to detail, love and a bit of flare. As I collect my purchases, a bottle of the Dry Gin & their life changing ‘Coffee Liqueur’ – an incredibly smooth and sweet caffeine fuelled monster that I instantly fell in love with – we turn for the door (as if finding it pre-an afternoon of gin sampling wasn’t hard enough!). Before we leave we exchange ‘cool guy handshakes’ and goodbyes, which feel more like ‘until next times’ owing to the friendships that the day has developed. And with that, we step back out in to the crisp Copenhagen evening. They say Copenhagen is the happiest city in the world. And with spirits like this, I can understand why. I couldn’t be happier. Why not check out Copenhagen Distillery across social media @copenhagendistillery! ‘Akvavit; Rediscovering a Nordic Spirit’ is available to buy on Amazon & ‘The Whiskey Exchange’. 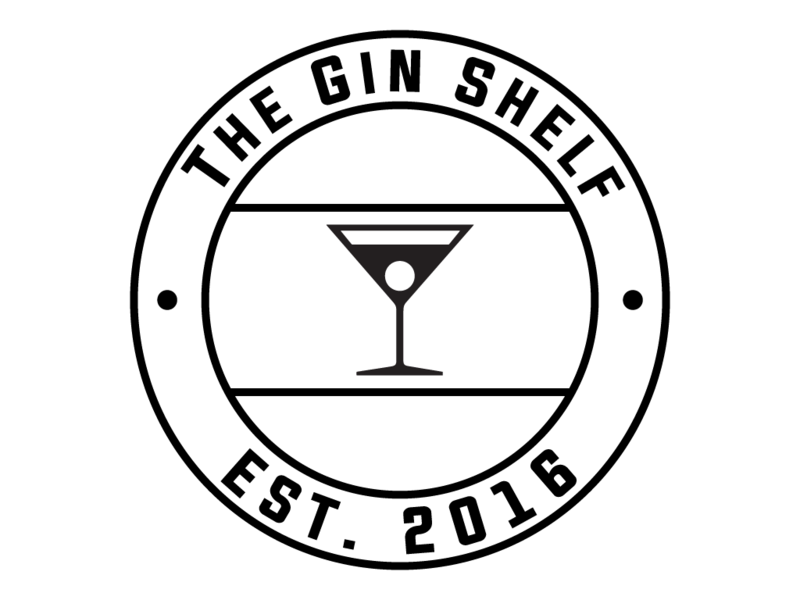 Check out @theginshelf across social media for more reviews, write ups & event details (or just to say hi! ).